Hey guys, it's been a while, but I've got lots of wisdom to impart. This past weekend was a big one for the performing arts in the city of Montreal. 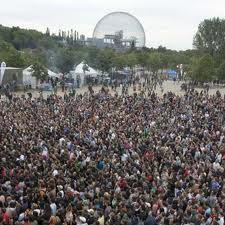 First off, the Osheaga Music Festival returned for its 2010 edition, thus welcoming various artists to Jean-Drapeau Park. The 2 day ordeal lived up to its hype, attracting over 50 000 indie music lovers to see headlining bands such as Arcade Fire, Weezer, Metric and Snoop Dogg. Major Lazer played on the second day, playing one of their awesome mixes consisting of Pon de Floor and The Bloody Beetroots' Warp. Deadmau5 was scheduled to play a set, but was unable to attend. The mau5's July 30th D.C. show was cut short when the Canadian DJ collapsed due to exhaustion. He was violently vomiting and was escorted offstage by medics. His poor health forced him to cancel his next 9 tour dates, including Osheaga. The second event worth mentioning is a free downtown show called Divers/Cite. Attendees were encouraged to donate 2$, a measly fee used to keep the yearly event going. Emilie-Gamelin Park played host to many trance fans who had come to see DJ Insomnia, DJ Wizz, Sied van Riel and headliners Cosmic Gate. Sied van Riel sounded great, but Cosmic Gate stole the show. Their live set showed exactly why they belong in DJ Mag's top 100. In fact, they were so entertaining that some fans followed to Laval to watch their after hours performance at RedLite. The whole night was somewhat instructive as it displayed the acoustical differences between indoor and outdoor shows. Nevertheless, they were great in both settings. Here is a track from their July chart. So the annual DJ Mag rankings are going to be coming out pretty soon. Voting has begun and various DJs are preparing themselves. To my knowledge, the list will be released mid-September, which is why Armin van Buuren coordinated the release of his new album with the results. Mirage is set for an early September arrival. Full Focus, Armin's latest leaked tune, will surely be featured on the album. Here's a pretty decent remix. You will definitely hear these next 2 if you decide to go to a nightclub anytime soon. They have both been moving up and down beatport's top 10 most downloaded list for some time. I have no idea who Mark Knight is, but Wolfgang Gartner is always great and when it comes to House, Steve Angello is too. It seems that every time we apologize for long post pauses, we end up slacking and even more time passes between the next 2. So instead of apologizing, I'm just going to make up for it by giving you guys some extra tracks. I don't usually like Techno or Tech House, but this next track is very entertaining. Viscosity is very popular in the Techno world, and so is Josh Gabriel. This is my favorite remix of his song. I was asked if I knew about this next song a short while ago. I did and I always thought it was a great song, which made me wonder why it has not been featured on the blog. Nero, a Drum and Bass duo from UK, has grown significantly over the past few months, owing much of its success to the following. Was I the only one under the impression that Deadmau5 was the only musician who released tracks on mau5trap? Apparently, another artist named Moguai does as well. Unlike Deadmau5 who plays around with different styles, Moguai focuses on progressive house. 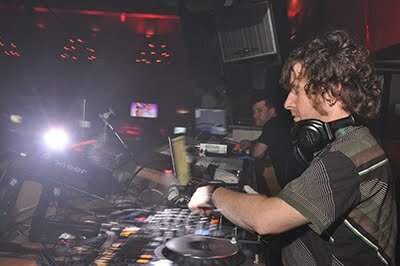 His music makes me think of the softer Deadmau5 stuff, but slightly better suited for a club. European clubs though; not enough North Americans know what good dance music is. And of course, no post of mine would be complete without dubstep. 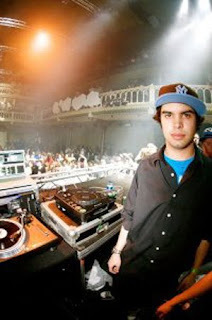 Here's another Doctor P remix, along with a new release from Datsik, the filth master. He looks dirty in person too. This entry was posted on Thursday, August 5, 2010 and is filed under Armin van Buuren,Big World,Caspa,Cosmic Gate,Datsik,David Call,Doctor P,Josh Gabriel,Mark Knight,Markus Binapfl,Michael Woods,Moguai,Nero,Steve Angello,Ummet Ozcan,Wolfgang Gartner. You can follow any responses to this entry through the RSS 2.0. You can leave a response. I love Major Lazer (DIPLO!!!). He played such good "oldschool" dutch songs at Osheaga. And Sander Van Doorn is sickkk.